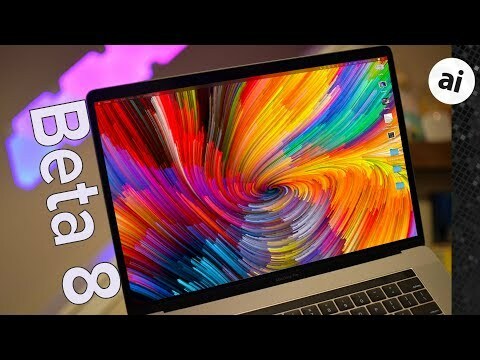 The eighth beta of macOS Mojave was released on Monday and while we are close to release, it seems we could still stand to see a few more performance improvements ahead of the full release. Developer beta eight, or release seven for public beta testers, has only an increment of six builds from the beta released a week ago. This suggests that not too much has changed this release. We did want to gauge performance, so we ran a litany of Geekbench 4 tests and were a bit underwhelmed with the results. With a fresh machine, we pulled in 3695 and 12904 on the single and multi-core scores respectively on our late-2016 2.7GHz i7 MacBook Pro. Geekbench, however, is reporting single core scores around 4129 and multicore around 13725 for the same machine, which means our performance is a bit lower than the average. While this is likely induced by extraneous code in the beta, hopefully, we see these numbers improve before the public launch. Check out what changed last time around in beta 7. Find any other changes? Reach out to us on Twitter @AppleInsider or @Andrew_OSU. Ready for a Mojave-ready Mac? Save up to $250 on 2018 MacBook Pros, along with special financing offers. The beta versions have debug code running. Performance isn't going to improve until the final release. If you could find the oldest mac you guys have with a rust drive and run some timed numbers on it, that would be cool. M7b is more debugging code than OS...it's so bloody slow. Booting to desktop is now 3 minutes. Safari is currently taking almost 60 seconds to launch and open. Screengrab Camera shutter sound occurs 4-5 seconds after hitting the key combo.